I’ve always had a passion for helping people live their healthiest, most fulfilling lives. One of my proudest accomplishments is the fact that I’ve been able to operate on patients in over 30 countries – including China, India, and Zimbabwe. During these missions, I’ve seen firsthand how a lack of access to clean water can cause real health problems for people in need. That’s why I’m proud to announce that Gundry MD is striking up an exciting new sponsorship with charity: water. 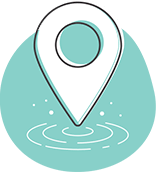 charity: water is dedicated to building smart, new ways to get clean drinking water to communities in need — all across the globe. Founded by Scott Harrison in 2006, charity: water has funded over 20,000 clean water projects in 24 countries around the world. So far, they’ve given roughly 6.4 million people access to healthy drinking water. This amazing organization is making a real difference – and I couldn’t be more proud to jump onboard. Now, every time you purchase a Gundry MD product, you’re helping to save lives through clean water. Organizing Water Committees to make sure water flows for decades to come. Together, we’re making clean water an everyday reality for poverty-stricken communities and helping them access the tools they need to grow healthier and stronger. 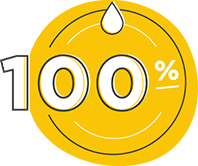 100% of donations to charity: water goes to fund water projects for communities in need and every project is proved. charity: water is also accredited by the Better Business Bureau. So know that every time you purchase a product from Gundry MD, you’re helping provide one of the staples of life — clean water — to children and families all over the world.